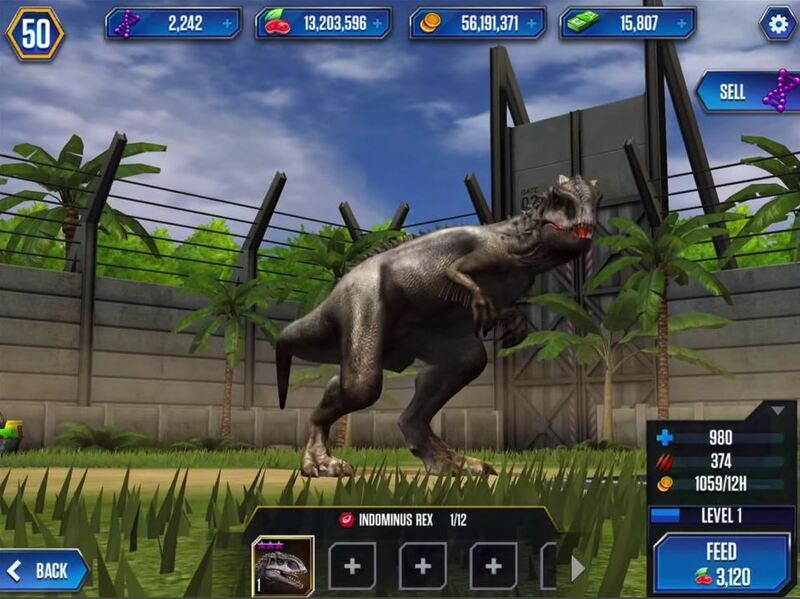 Everything about the Jurassic World app with tips, tricks and cheats for Android and iOS. A few weeks the Jurassic World app was released, just in time for the new movie. 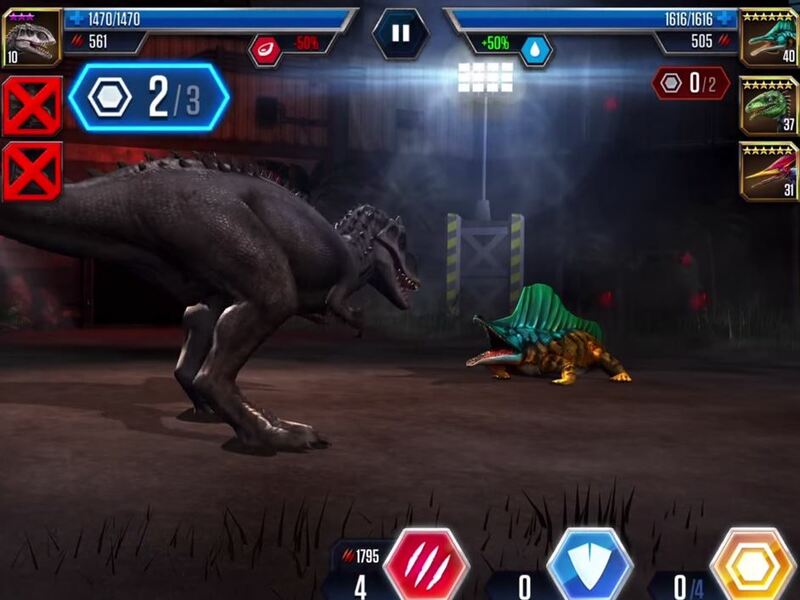 The app was released by Ludia who have already released the game Jurassic Park for Android / iOS. The new title is not only much better by design, but also brings dinosaur fighting in 3D to an arena Jurassic World is therefore of interest not only for fans of the movie, but for all fans of the so-called breeding games. First, we now have numerous Jurassic World Tips, with which you should progress faster in the game. Furthermore, this guide is for beginners, in case you did not understand something in the tutorial. In the next chapter we go on to the subject Cheats for the App. At the beginning should closely watch the Getting Started tutorial to understand the game. So you can have for example several dinosaur of a type in one enclosure, but need to feed each one separately. We recommend, to upgrade dinosaurs of different types at the same time at the beginning of Jurassic Park World. Through each stage upgrade you also get more coins per hour, which is also very helpful. With the DNA, you can buy more dinosaurs later . At the beginning, however, you should always wait and see if you do not find dinosaurs in a card package, you then just have to hatch. In any case, you should play Jurassic World every 6 hours, because then you can have a free card pack to pick. In this you can find resources, dinosaurs and people. 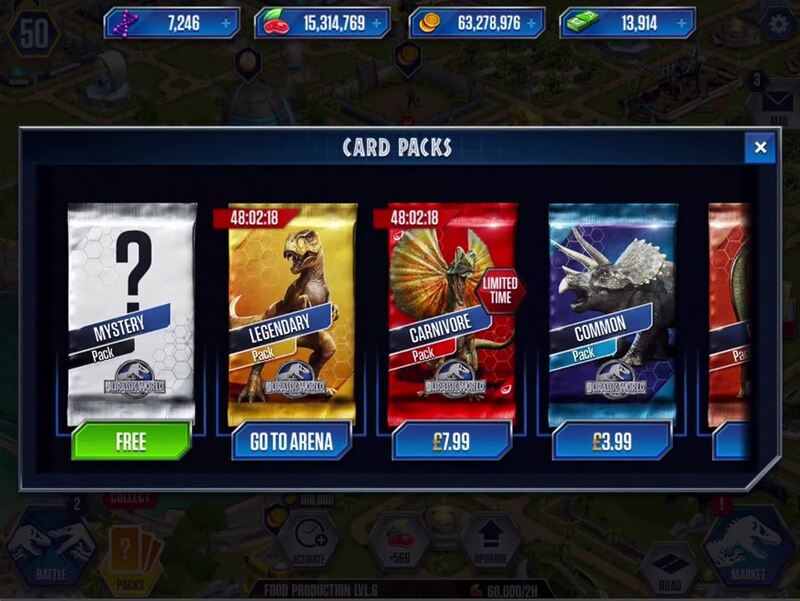 While there is are still more card packs in Jurassic World, but they are to pick up only for real money (in-app purchase). Next we have a few tips for Jurassic World how to fight against other Dinosaur and how you should win. First, then it should be noted that you should upgrade your dinosaur evenly. You have to feed them. So is it worth it evenly to upgrade to level 10 instead of one to get to level 19, while the other two are still at level 5 and 6. Before the fight you have to select three dinosaurs. Regard also the elements, because with the right element you have an advantage over another dinosaur. On the left side of Jurassic World you’ll find always the missions and objectives. Which you should definitely do, because you get numerous resources such as food, coins and more. If you should find a mission is a card package is rewarded, necessarily have a look at this. The task is indeed only temporary, however, earns you the premium currency cash, if you complete the task. If you have any more tips and tricks to get started in Jurassic World, so please write in the comments. We will expand the article then accordingly. For PC games cheats are popular to progress faster and to gain an advantage. Therefore, it is not uncommon for people to think cheats for Jurassic World to get ahead. As the game is available free for download, the developers haven’t integrated cheat codes in the classical sense. Instead, you can for in-app purchase access to progress more quickly and to get the premium currency, with them you can skip the waiting periods. Although on the Internet available are many cases of hacks also for Jurassic World, but we do not recommend this, since these often dealing with viruses and Trojans, they cause not only damage to your smart phone, but can also be expensive. In the App World Jurassic you have to breed dinosaurs, give them food to rise and fight in arenas against other dinosaurs. As described in the Tips, the dinosaurs have an element which has advantages and disadvantages compared to other dinosaurs. 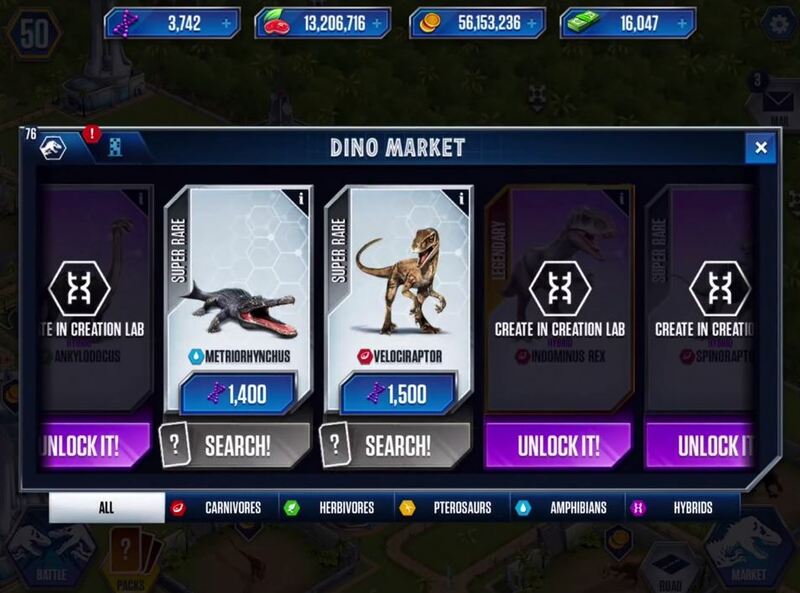 If you are upgrading the dinosaurs, they are not only get stronger, but also get more defense. Collect DNA, food, coins and cash to move forward in the game. Jurassic World is available here for free download, for Android and iOS, but is funded through in-app purchases. Int the iTunes App Store, the game is available for iPhone and iPad. Again, Jurassic World financed through in-app purchases. IOS 7 or higher is required in order to install the app. However, the iPod touch is not compatible, even if you can download it first. Jurassic World can be downloaded from the Google Play Store for Android. 3 Comments on "Jurassic World Tips, Tricks and Cheats for Android and iOS"
How do you collect from a jungle bean cafe at 8% or higher?